Unless you are won over by the C4 Cactus, or still dreaming the MPV dream while the world turns to SUVs, you will find the current Citroën collection dreary and dispiriting. Old cars, odd cars, Mitsubishi ‘captives’. So what’s the solution, apart from More Airbumps, as promised by CEO Linda Jackson? Part of the answer (so presumably not part of the problem) is the e-Méhari, developed with French conglomerate Bolloré’s EV division. It appears to be a re-packaged version of Bolloré’s Bluesummer beach car, but built at Citroën’s Rennes factory, which produced the original essence Méhari, and much else besides. The presence of a Courrèges special edition tells us all we need to know – the e-Méhari is aimed at fashionable resort hire fleets, not developing countries and remote rural communities. More St. Tropez and Sylt than Senegal and Sudan. Citroën’s other vehicle of diminished seriousness is derived from the SpaceTourer, the passenger version of the latest version of the Sevel Nord camionette. The Valenciennes plant is now wholly PSA owned, although it produces Toyota-branded versions of the van. The SpaceTourer Hyphen ‘Band Van’ complete with a Dangel 4×4 conversion may not be all that is needed to drag Citroën from the mire, but it met with universal enthusiasm from my fellow Geneva-goers. Presumably the Inverted Commas Space Tourer Hyphen Band Van wears those grips on its front wheels to help it climb that mountain. As an outed Cube owner, it would be foolish of me to be too condemnatory of the Capital Letter Space Tourer Etctera Full Stop and, indeed, I can see its uses but, out of touch though I might be, I can’t see it actually gaining much popularity with today’s up-and-coming beat combos. As for the Mehari, Richard showed a photo of a green one in December that I was vaguely flattering of – at least compared with the Bollore version. Having now seen it from other angles, in white, I recant. Totally. And HP suspension ends its residency at the House of Andre. I read 10,000 C5s had it hidden on board. You can’t see it.Some idiot parked that stupid car in the way. I’d love to swap cars with that idiot for a weekend. What is absolutely sure: If Citroen offers mediocre cars without that difficult touch of convincing quirkyness no one need a Citroen. Kia or Skoda are doing this job better. The first C4 was a good example for the right way – the current C4 is a very good example for the wrong way. This is seen from the northern european point of view – the important mediterranean markets and China are demanding more conservative cars. 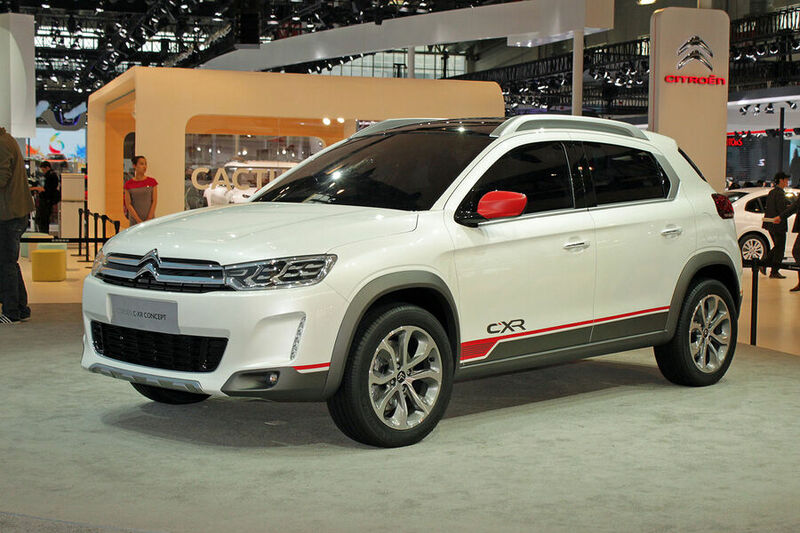 In China, the Citroen C3-XR finds more buyers than the Peugeot 2008 – the Cactus is not able to do the same thing. Not an easy job for Miss Johnson. That Mehari looks like it is made of marshmallow – come to think of it, it might be more fun if it was (can I claim rights to that innovation Mrs J?). It comes to something when a van is the most innovative thing on a Citroen stand, and yes I do remember the H.
C5 production was suspended for a spell in January, but restarts soon, so C UK told me. 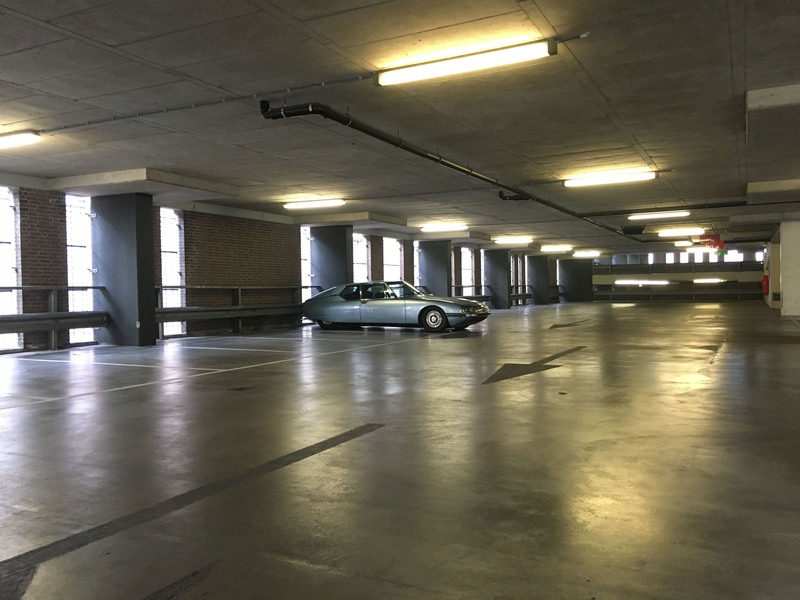 It’s hard to think that a couple of years ago, having seen the Cactus show car, I had managed to convince my cynical, jaded self that there might still be hope for Citroen. What do we have here? A rebodied microcar and an all terrain shag chariot. Please Mr Kearne, can you ban use of the C Word for April? It’s OK Sean, you were not alone – I also began to hope. I bit like I did in the mid noughties when the C3 concept, C6 Lignage concept, Pluriel, original C4 5 and 3 doors, C4 Picasso and Grand Picasso all turned up rather promisingly. The current line up is with limp or old or both at once – I maintain that the C3 Picasso is probably Citroen’s best car right now, albeit I think the C4 Picasso/ Grand Picasso the most market competitive. BTW – (another) nice photo, Sean. I agree about the C3 Picasso. I’ve not driven one, and indeed wouldn’t expect that part of it to be anything other that motor industry standard, but I was unexpectedly impressed by the one I sat in in a Citroen showroom – just after being equally unimpressed by the Cactus experience.